Collagen is a hot nutritional topic, along with Paleo and Ketogenic diets and increased fat consumption. Claims that collagen can restore your youthful appearance and heal you gut are obviously attractive, but are they true? And what exactly is collagen? How does it benefit the body? Should you consume collagen? And what if you are vegetarian or vegan – are you missing out? First of all, collagen is vital to the body. It is a fibrous protein found in your organs, muscles, hair, skin, nails, teeth, digestive system, bones, etc., and is responsible for skin elasticity, sealing the gut lining, and creating youthful looking skin, beautiful silky hair and strong nails. It is the fountain of youth in the body. So of course you want enough of it in your body. The question is, do you need to supplement with it, and if so, in what form? One of the main jobs of collagen is to act as a sealant or glue. This is especially important in the gut, where collagen maintains the integrity of the gut lining, protecting your body from any unwanted leakage. As we have seen a rise in leaky gut issues, collagen supplementation could be a vital repair mechanism for this. Collagen contains certain amino acids proline and glycine that are essential to repairing intestinal damage. According to Dr. Amy Myers, your body readily produces collagen until about age 35, when it starts to slow. By age 40, collagen depletes faster and by age 60 over half of your body’s supply has been depleted (https://www.amymyersmd.com/2017/05/top-7-health-benefits-collagen-get/). Hence the wrinkles. Collagen is the secret ingredient found in bone broth – another food taking the world by storm. Bone broth has been consumed for centuries, but is now experiencing a revival due to the trends toward more fat and fewer carbs and the recognition that many diseases and ailments are linked to a compromised gut. Slow cooking animal bones releases the collagen and/or gelatin into the broth, giving it the healing power. Gelatin is the cooked form of collagen and equally beneficial. My mom always used Knox gelatin to make Knox Blox from fruit juice. Now I also make recipes like this coconut milk panna cotta from Detoxinista. 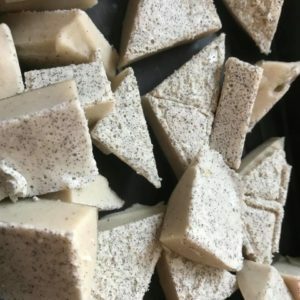 (https://detoxinista.com/easy-coconut-panna-cotta-dairy-free-paleo/), and these gut-healing vanilla marshmallows from Fit Foodie (https://the-fit-foodie.com/recipes/gut-healing-coconut-marshmallows). 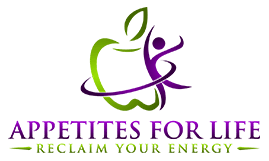 So, do you need to eat gelatin or supplement with collagen powders to boost your body’s collagen stores? With a balanced whole foods diet, it appears you can obtain enough collagen the body needs. Foods like chlorella, spinach, kale, tomatoes, beets, salmon, citrus foods, berries and eggs are excellent sources. Additionally, foods rich in Vitamin C help to stimulate the production of collagen. Having said that, too much of anything is not a good thing, so be sure not to jump on the collagen train without doing your own research. Your body works very hard to maintain balance and when you add too much of one thing into the mix for too long, that balance can become compromised. Also, be aware that many collagen supplements come from marine sources, beef or eggs, which are not suitable for vegetarians and can cause sensitivities in some people. My conclusion: both vegans and meat eaters can benefit from collagen’s effects with a whole foods based diet. Also, I believe it is always better to change your diet to one that receives all nutrients needed from food before buying expensive supplements. I have seen the shift in client’s skin, hair and nails within a month of cutting out processed foods and adding in my leafy greens, vegetables and fruits. Is this because of the collagen? Perhaps. It could also be from the all the other nutrients available in a whole foods based diet. Nevertheless, food has the power to heal.